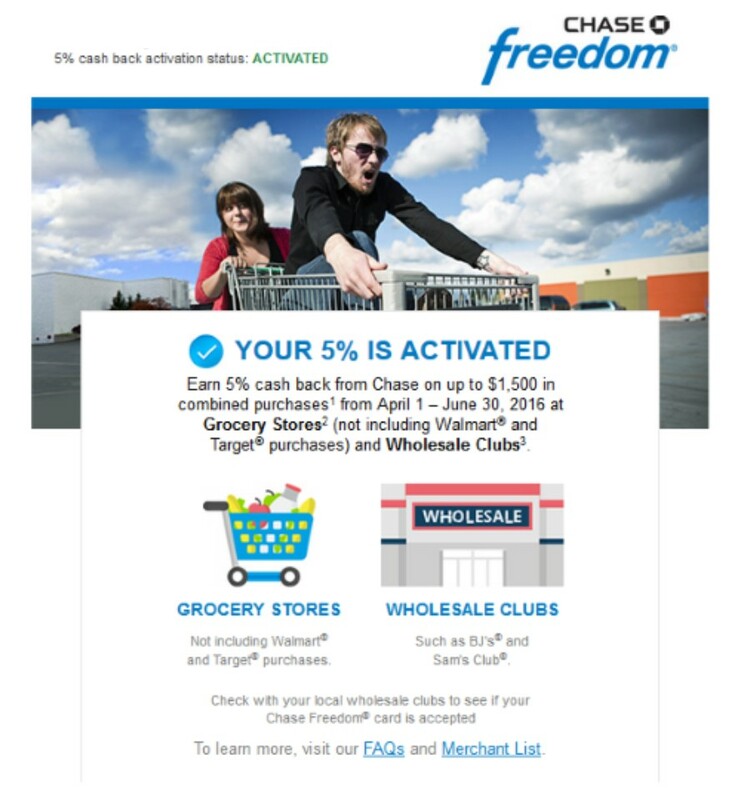 The Chase Freedom card is a terrific no-fee credit card. Each quarter it offers 5x Ulitmate Rewards (UR) points in certain bonus categories. Those UR points can be redeemed for a penny a point, which is not a bad deal. But if you have one of the other Ultimate Rewards cards like the Sapphire Preferred or one of the Ink business cards, you can combine your UR balance between the cards. That means you can transfer your UR points to airlines (like United) or hotel programs (like Hyatt) and get more value than one penny per point. 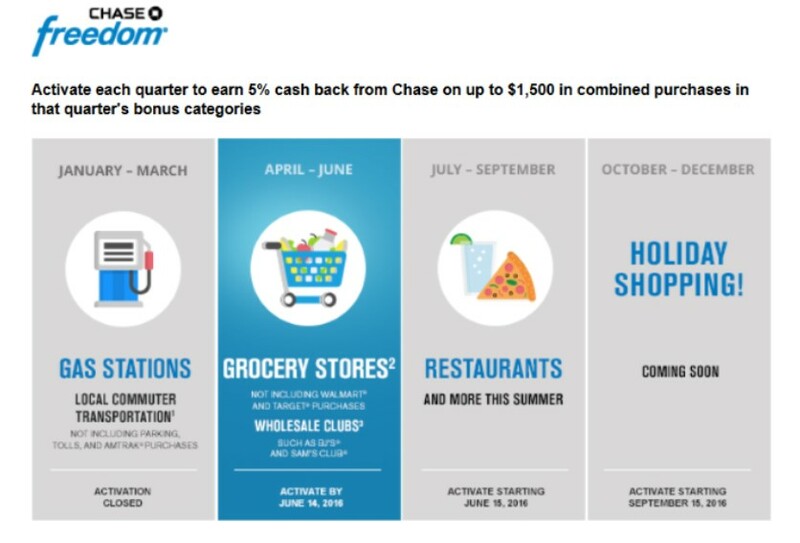 Today I received a reminder email from Chase that it was time to register for the second quarter bonuses, which will begin on April 1. If you received this email you can just click on the link and, voila!, you’re registered. If you did not receive the email you can go to the registration website and sign up there. 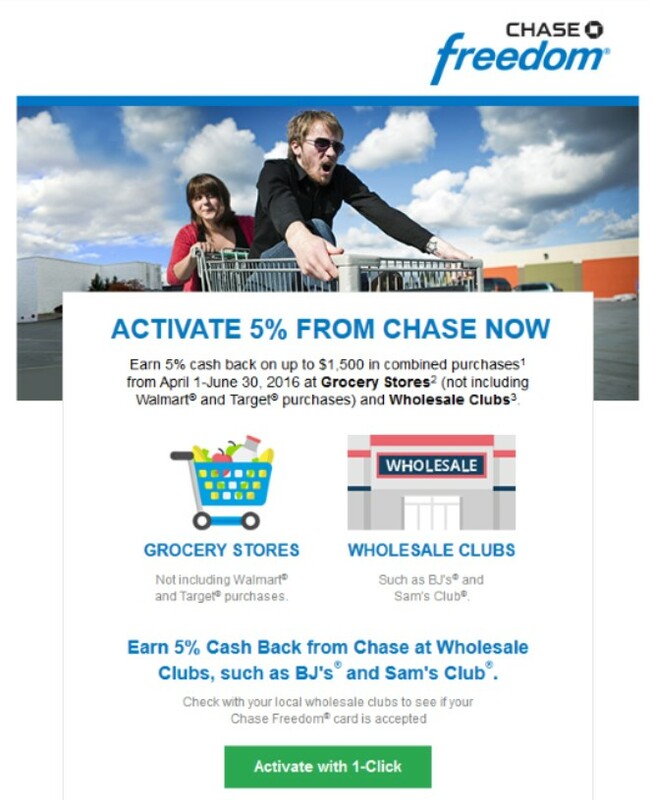 Once you’ve signed up you should get an email from Chase indicating your registration was successful. 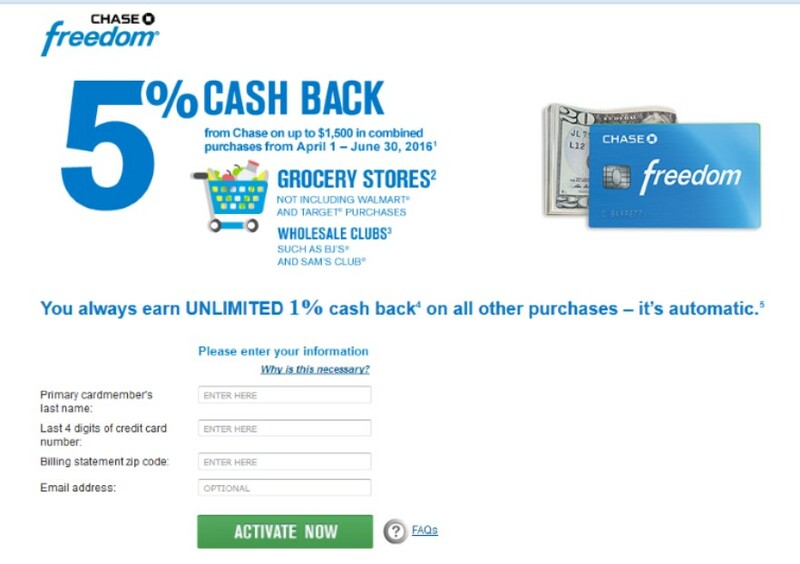 This quarter you can earn bonuses for up to $1500 in purchases at Grocery Stores and Wholesale Clubs. Note that most Wal-Marts and Targets do not qualify as grocery stores for this promotion. Wholesale Clubs like Sam’s and BJs will work too. This is an easy category to max out as many grocery stores and warehouse clubs sell Visa gift cards. Buy 3 x $500 Visa gift cards and you’re done for the quarter! Or, if you don’t have an easy way to liquidate Visa gift cards, there are restaurant and other store gift cards that can be bought in many grocery stores. And often you can earn at least double fuel points for these gift cards. And remember that a gift card doesn’t have to actually be a “gift”. You can use it for yourself for places where you regularly dine or shop. So be sure to register today! Don’t have this card? You can sign up for one here. I make no money from this link but it will help support one of the full-time bloggers who help get the word out about the points & miles game.